Retailers too are eager to provide new tools that better the shopping experience. The first attempts at virtual dressing rooms to allow customers to try clothes while shopping online have been made already. Soon, AR is going to affect the way we shop, experts say because all you need is a phone. Moreover, few early adopters of augmented reality, Ikea and Wayfair, have stated it has driven their sales. The discussion is yet open among marketers – do we bet on augmented reality or reality, as in traditional shopping? Meanwhile, according to Centric Digital Augmented reality in retail study on US customers, furniture is the top product people want to shop with AR (60%). Other products include clothing (55%), groceries (39%), shoes (35%) and jewelry (25%). So even though the AR technology is not ultimately here yet, AR furniture shopping is already a thing known to customers. First ones work with image recognition using a camera to scan an image (marker) and then add a virtual image on the phone screen. For example, many apps read QR codes and present additional information. Location-based AR apps use GPS to locate places nearby and/or to offer directions, etc. AR apps are mostly used in commerce, entertainment, games, retail, medicine. For furniture retailers, the approach of ‘try before you buy’ is crucial and this option for customers is a winning ticket. Offering this yet futuristic technology of AR is of news value alone, to begin with. The mere fact that a retailer has an AR app instantly gets the attention and potentially increase sales. To prove this point, a good example is GAP chain of stores, that opened up augmented dressing rooms, got big publicity and higher traffic to their website in a result. AR is also a fine tool for personalization of customer needs, especially when it comes to furniture. Shoppers really want the ability to see how the items will look at their homes or offices. IKEA was the first AR ice-breaking furniture company introducing the catalog app for these exact needs. A user takes a photo of a place with the app, browses the catalog and tries selected items onto a place. Showcasing. Retailers are able to showcase their products visually and interactively with AR tools. A furniture store may offer customers to see how a table of a bed would look like in their house. Beat competitors. With such advanced technology as AR, you can compete and easily get ahead of the competition. Offering innovative shopping experiences leads customers your way, no doubt about it. Younger customers and swag (in a good sense). Augmented reality apps are trending among younger audience so why not use it as a new advertising option? And unlike Virtual Reality apps that require additional equipment, AR is more widely available, and there are literally millions of smartphone owners. Trials free of risk. With an AR app, people can place a bookshelf in their rooms in a few taps on a phone. Or see how a sofa would look in brown or red color. The risk of product return and logistical expenses is minimized. New marketing opportunities. AR offers new ways to promote your brand, to offer product information, to present new products, to offer helpful 3D experiences to customers. And most importantly, to attract more customers. 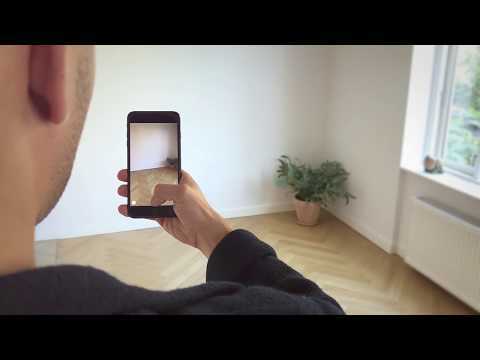 A successor of Ikea catalog app, the Place app is among the first apps to work with Apple’s ARkit and iOS system. 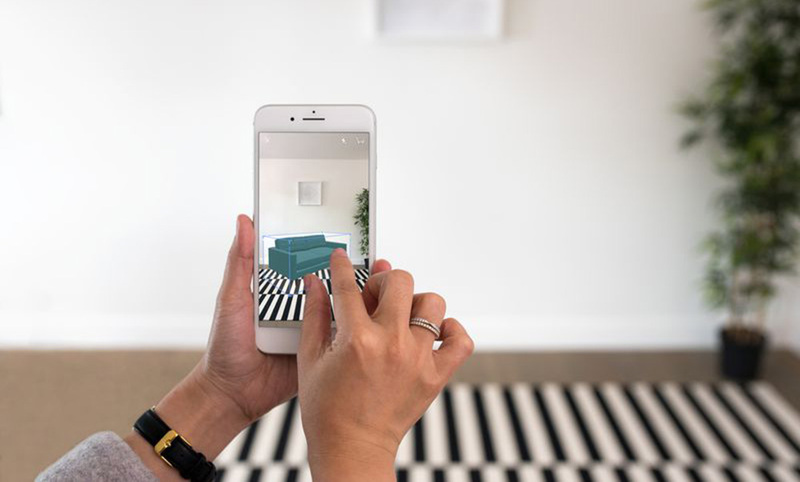 Browsing through the catalog of 2,000 chairs, sofas, tables, and other items, we can use the phone’s camera to place them in a real room as augmented reality 3D objects. Re-positioning, moving closer or further away, different angle view is also possible. The app automatically scales items to real dimensions – Ikea is claiming a 98% rate of accuracy. All in all, a nice example of usability and marketing! Houzz is the home decor company and its app offers design and renovation ideas, furniture shopping and 3D imagery. The concept is familiar – place digital furniture items in a room before buying. There are about 300,000 items in the database, and since the app’s launch the company claims that it has been increasing sales and engagement. 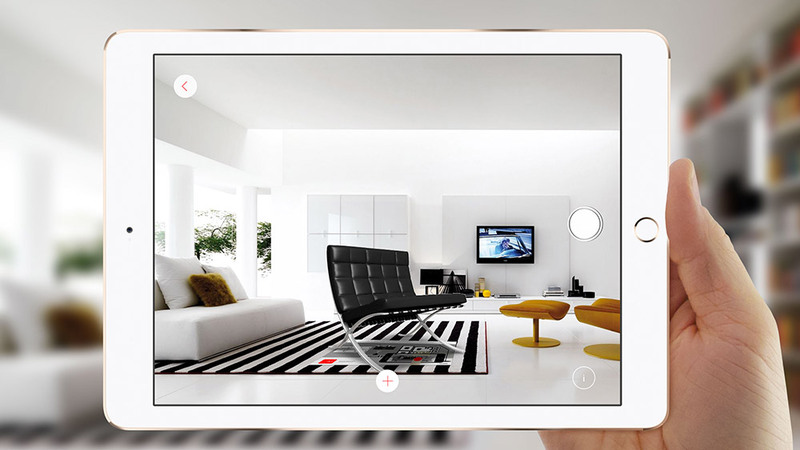 50% of shoppers who have bought Houzz products used the AR app to preview items. With such a name you really know what to expect :). In addition to AR options, AF offers extensive product data, ranging from models, colors, and textures to designer information. The app allows users to view and evaluate the selected items, a so-called “dimensioning tool” helps to check a maximum size. You can also save a configured objects or a furniture set or share it to social media for anyone else to see. A US online furniture and decor retailer Wayfair started working on augmented reality app in 2016. They have been improving it ever since with the help of ARCore by Google. So far, WayfairView app is available for Asus ZenFone and Lenovo Phab 2. This AR app allows customers to view digital images of furniture, and rotate them in different perspectives in real time as well. A great advantage in terms of business benefits is Add-to-cart button that leads to the checkout page right away. 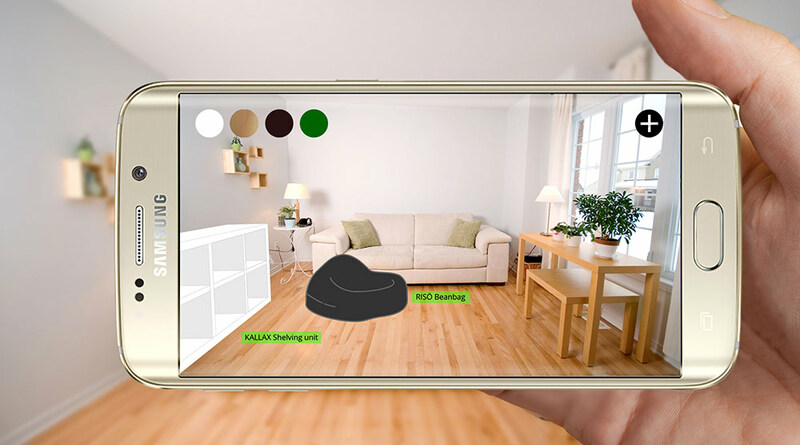 Though it is a beta version yet, Lowe’s Vision app promises rich AR features to let smartphone users place and design 3D imagery in more depth by means of the Tango platform and 2-camera Lenovo phones. 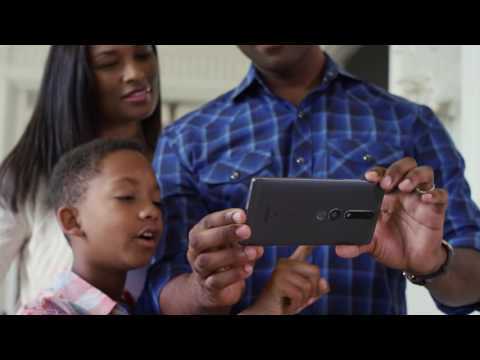 Lowe’s partnership with Google Tango is planning to bring augmented reality to a new level. The app also allows accurate measurements in relation to room dimensions. A study called “The impact of Augmented Reality on retail” conducted among 1,000 US citizens revealed that 60% have already tried out augmented reality tools for shopping. And they prefer it that way, so AR is starting to make a serious impact on the shopping experience and customer engagement. 68% of respondents also said they would want to spend more time at stores or online if it included augmented reality. Moreover, 40% stated they’d be ready to buy more expensive products. 72% of customers purchased products they hadn’t planned because of Augmented Reality. Generally, people find ARpositive, helpful and fun, and 45% respondents said it had saved them time. For retailers, augmented reality presents a chance to offer more information to customers (40% of them like to learn about discounts and deals via AR). Another study by Centric Digital LLC found that people want to use AR to buy furniture more than clothing, groceries, and shoes. This makes sense because there are typically different problems associated with those products and furniture. The excitement about augmented reality in business doesn’t stop mounting. In September 2017 Apple introduced iOS 11, which also embeds ARkit empowering the first augmented reality apps. Google also is in the game with its AR platform Tango, supported by Lenovo and Asus smartphones.